MSA and Young get to file a reply brief in 30 days and Ms. Atwood has asked that oral argument be expedited. The date of oral argument will be set later this month. Trooper Santhuff alleges that after he reported Lt. Nobach’s misconduct, his chain of command whitewashed the misconduct and failed to prevent Nobach’s ongoing retaliation against Santhuff. Jack Sheridan, his attorney, states that, “this lawsuit seeks damages, which will include judicial oversight of the State Patrol to force accountability and to create and implement systems to encourage state employees working in aviation to come forward to report improper governmental actions and to protect those employees from retaliation.” A jury trial is set for 2020. Every day of delay comes with interest on the verdict and on the attorney fee judgment, which could easily bring the total judgments with interest (and attorney fees on appeal) to over $10 million dollars. To delay Ms. Atwood’s ability to collect the judgment amounts immediately, MSA had to post a bond, which was initially found to be deficient, and was increased to $10,437.862.17 by court order. Today 81-year-old Abdikarim Karrani filed a federal lawsuit in Seattle for violation of his civil rights owing to his mistreatment on a January 2018 JetBlue flight from JFK to Seattle, which made an unscheduled landing in Billings Montana after another passenger became ill. In the air, a flight attendant pushed Mr. Karrani as he stood in front of a restroom door, and upon landing had him removed by police. Today a federal judge GRANTED Manager Aleta Busselman’s motion to exclude from the lawsuit a rushed and poorly prepared investigative report that was created by DOE/IG after this lawsuit was filed in federal court—after DOE/IG lost its authority to issue the report. Battelle/PNNL opposed the motion and argued that the late report should be admitted at trial. The judge disagreed. Here, the Inspector General issued its adverse investigative report on July 5, 2018, which was (1) more than 210 days after receiving plaintiff’s administrative complaint on June 21, 2017; (2) more than thirty days after the March 28, 2018 extended deadline that plaintiff agreed to; (3) sixty-nine days after plaintiff was deemed to have exhausted administrative remedies; and (4) three days after plaintiff filed this de novo action in this Court on July 2, 2018. Therefore, the Inspector General report does not deny relief. . . . Consequently, the Inspector General report is not admissible in this de novo action under the NDAA (the contractor whistleblower law). The Court accordingly excludes the Inspector General report from evidence in this case. DOL’s Administrative Review Board has repeatedly dismissed complaints for lack of subject matter jurisdiction once the statutory deadline for agency action has run and a complainant files a de novo claim in U.S. district court on the basis of exhaustion of administrative remedies. The parties have identified no compelling rationale for departing from the sound practice of DOL under Sarbanes-Oxley, and we decline to do so here. This amounts to two wins in a row for Ms. Busselman against Battelle/PNNL. Jack said, “we look forward to bringing this case in front of a jury so that PNNL and its managers can be held accountable for their actions.” No trial date has been set. Here, Plaintiff objected to Defendant changing or manipulating the root cause finding—the official determination of how and why Defendant lost over half a million dollars to a fraudulent entity—in a report that the energy department would rely upon in determining what to do in response. Plaintiff expressed her belief that Defendant’s actions were prohibited. She mentioned the internal policy, which Plaintiff designed and implemented to comply with Defendant’s contract and governing regulations. But it is not reasonable to infer her concerns were limited to the internal policy. After all, it was known even in the absence of a formal written policy that management was prohibited from changing a root cause finding. A disinterested observer with knowledge of the essential facts would reasonably conclude Defendant’s actions evidenced gross mismanagement of, or an abuse of authority relating to, a federal contract, as well as a violation of regulations governing that contract. By inference, Plaintiff held the requisite reasonable belief. The NDAA therefore protects her objection. 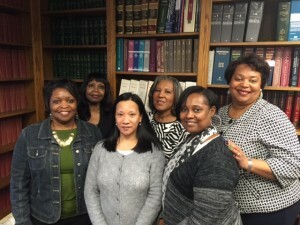 Today one Asian American and six African-American former employees at SPU filed a petition with the Washington State Supreme Court asking the justices to grant them a new trial because the jury panel for their race and age discrimination trial lacked racial and economic diversity. At trial in the King County Superior Court, the plaintiffs objected to the venire (the juror pool) and asked the Honorable Suzanne Parisien to dismiss that venire and bring in another panel of potential jurors that contained some black persons. Judge Parisien denied the request. They also asked Judge Parisien to reconstitute the venire because after Judge Parisien granted requests for hardship dismissals based on financial concerns of lower wage earners whose employers would not pay them to sit on the jury for three weeks, those not dismissed constituted an elite cross-section of the citizenry, including non-working retirees and persons who worked for big companies in higher paying salaried jobs who would be paid through a three-week trial. The plaintiffs argued that Judge Parisien should create a trial schedule which may permit more economic diversity in the panel, such as holding court fewer days in a work week. Judge Parisien denied that request as well. The petitioners consider these rulings to be denials of their constitutional rights to equal protection and to a jury trial. All-white jurors tend to spend less time deliberating, make more errors and consider fewer perspectives. . . . In contrast, diverse juries were significantly more able to access reliability and credibility and avoid presumptions of guilt and fairly judge criminally accused in a criminal case. By every deliberation measure heterogenous groups outperformed homogenous groups. These studies seem to confirm what seems obvious from reflection: A more diverse group of juries has a result of fairer trials. Today, Cita Monroe filed a petition for review with the State Supreme Court. This is from the introduction of the Supreme Court Petition. See if you feel differently about your own views after reading this. We all have implicit bias, and these two petitions seek to address that issue head on, and other important issues so that black plaintiffs can get a fair trial. At the recommendation of a City retained doctor, a disabled white woman with a documented history of anxiety and depression, was transferred from one City of Seattle department to another as an accommodation, because the City’s doctor opined that in her then current assignment, “her increase in anxiety and depression symptoms would limit her ability to adequately concentrate, withstand day-to-day usual work stresses and interact appropriately with supervisors and coworkers.” So the disabled white woman was transferred to the City’s Department of Transportation, and was assigned to work under the supervision of a six foot two, 305-pound black male supervisor with a history of aggressive behavior at work. One day her black supervisor cornered the disabled white woman in a women’s restroom at work. He stood outside the restroom door pounding with his fist and yelling for her to get out. He wanted her to take a fitness for duty exam off site, and she said she would go, but she wanted her sister, also an employee, to accompany her, because the disabled white woman was afraid to be alone with this large, black man. Her anxiety peeked in the women’s restroom; she had soiled herself in fear; she called her shop steward from inside the restroom. Through the telephone, the white shop steward heard the yelling and banging, and after the disabled white woman handed the black manager the phone through a partially opened restroom door, she proposed having a third party join them. The black manager yelled at the shop steward saying, “It’s too late” [for the disabled white woman to get the fitness for duty exam now]. The disabled white woman left the workplace after her security badge was taken. The disabled white woman was then terminated for leaving her work place and for refusing the fitness for duty exam despite testimony to the contrary. The facts stated above describe the case of the petitioner with one vital exception—Petitioner Aloncita Monroe is not white; she is black. Many white readers of these paragraphs may have been horrified and outraged by the black manager’s treatment of the disabled white woman in the workplace. Yet for reasons they may not be able to explain, they may find that the effect of knowing now that the female employee is actually black, has somewhat diminished the outrage and horror felt in hearing the facts. This is the nature of implicit bias: bias held by all of us including by the jury, the judge, and all persons present at trial. In recent history, in some states, lesser conduct by a black man, if directed against a white woman, could have led to a lynching. In those same states, this author knows of no instance in which the same alleged conduct by a black or white man against a black woman, ever led to a lynching. It may be that white society discounts the significance of violence against black women. A means of fighting against such bias in the courtroom is through the use of an implicit bias jury instruction. The petitioner proposed two, but the Respondent City of Seattle vehemently objected to their use, and the Honorable John Erlick agreed with the respondent. He also excluded a pretext instruction proposed by the petitioner, a continuing duty to accommodate instruction proposed by the petitioner, and included an essential functions element in the disability discrimination instruction even though the trial court admitted its inclusion made little sense and was confusing. During deliberations, Mr. Willie J. Neal, Jr., the only black juror out of the twelve deliberating jurors, left the deliberations to visit the restroom. Judge Erlick had cautioned the jury not to deliberate unless everyone was in the room. At the time of his departure, he and two white jurors had voted in favor of plaintiff’s failure to accommodate claim. While in the restroom, he could hear talking. When he came out, without further discussion, a new vote was taken, and without explanation or discussion, one of the two white jurors changed her vote now voting against liability. Immediately, the Asian American foreperson pressed the button to summon the clerk and to present their decision. The jury was polled and confirmed a 10-2 verdict for the City on the failure to accommodate claim and 11-1 verdicts on the other claims. Two days later, Mr. Neal completed a sworn statement outlining these troubling facts. He concluded that improper deliberations occurred while he was in the restroom. CP 972-74 (Appendix at 1-3). THE COURT: And you did. THE COURT: You addressed it in voir dire. You addressed in the opening — your opening statement. You addressed it in your closing argument. You raised it throughout this entire trial. RP (1/27 Albino) 17; see also RP (12/19 Moll) 1916. This exchange with this highly respected white trial judge demonstrates that implicit bias infects us all, and that failure to give an implicit bias jury instruction in this case is a constitutional violation and an abuse of discretion, because an implicit bias jury instruction promotes consciousness and introspection, which are methods of fighting those biases. The uncontested sworn statement of the only black juror should have been enough to support a new trial. His sworn factual testimony was strong circumstantial evidence of juror misconduct in violation of the Washington State Constitution and the failure to grant a new trial was an abuse of discretion. Today more than ever, we need a frequent recurrence to fundamental principles because—today more than ever—it is essential to the security of individual rights and the perpetuity of free government. Const. art. I, § 32. The overarching issue is, what Supreme Court actions are needed to ensure that a black person gets a fair trial in Washington State? If this Court does nothing, injustice will prevail and discontent will ferment in all affected communities. This petition for review should be accepted by the Supreme Court because the petition raises significant questions of law under the Constitution of the State of Washington; and involves issues of substantial public interest that should be determined by the Supreme Court. RAP 13.4(b) (3) and (4). Additionally, once the juror misconduct is confirmed, the petition demonstrates that the Court of Appeals decision is in conflict with Supreme Court precedent. RAP 13.4(b) (1). Upon review, the jury verdict should be set aside and a new trial granted with new rules requiring an implicit bias instruction when requested and for evaluating juror misconduct. According to prominent scholar and expert witness Dr. Anthony Greenwald, “seventy percent of Americans hold implicit prejudiced views based on race, color, national origin and ethnicity.” Samaha v. Washington State Dep’t of Transp., No. CV-10-175-RMP, 2012 WL 11091843, at *1 (E.D. Wash. Jan. 3, 2012). See Equal Justice Initiative, “Lynching In America: Confronting The Legacy Of Racial Terror,” Third Edition, available at: https://lynchinginamerica.eji.org/report/. “The legal and social double standard that allowed white men to commit sexual violence against black women with impunity, while the most baseless fear of sexual contact between a black man and white woman resulted in deadly violence, continued after emancipation. Nearly one in four black people lynched from 1877 to 1945 were accused of improper contact with a disabled white woman.” Equal Justice Initiative, available at https://eji.org/history-racial-injustice-sexual-exploitation-black-women. See American Bar Association, Principles for Juries and Jury Trials, Principle 6(c) (2016), filed at CP 1127 (Appendix at 26). “Research on the role of attention in weakening the effects of implicit cognition . . . supports consciousness raising as a strategy for avoiding unintended discrimination. That is, when a decision maker is aware of the source and nature of a bias in judgment, that bias may effectively be anticipated and avoided. Consciousness raising may also have some value in attenuating implicit bias when the source of implicit bias is not properly identified, as suggested by findings that attentional effort reduces effects of weak cues.” Greenwald, A. G., & Banaji, M. R. (1995). “Implicit social cognition: Attitudes, Self-Esteem, and Stereotypes.” Psychological Review, page 16. Available at: http://faculty.washington.edu/agg/pdf/Greenwald_Banaji_PsychRev_1995.OCR.pdf. Today a King County jury found that managers at the Washington State Department of Transportation are guilty of retaliation against Stacy Trussler, a former director who was “disability separated” by WSDOT management in 2016. The jury awarded Ms. Trussler $1.2 million in damages and recommended that she be reinstated to a comparable position at WSDOT with protections against further retaliation. Ms. Trussler is an experienced civil engineer with a master’s degree in environmental engineering from Washington State University (1993). She joined WSDOT in 1995, and in 2010 she was promoted to Director of the WSDOT Urban Planning Office (UPO). The UPO was responsible for representing the Transportation Secretary at regional boards and county-wide forums, and as the Director of UPO, Ms. Trussler did so and led three technical teams: travel demand modeling, corridor planning studies, and transportation systems analysis. In October 2012, Ms. Trussler suffered a head injury in a motorcycle accident, and after she returned to work she was informally accommodated by her then manger, Brian Smith, who permitted Ms. Trussler to telecommute, rest as needed, and to have a flex schedule until he retired in February 2014. Under Mr. Smith, Ms. Trussler had positive performance evaluations before and after her accident. Ms. Trussler alleged in her complaint and at trial that after Mr. Smith retired, the newly hired Assistant Secretary for Economy and Community, Amy Scarton (who is currently the assistant secretary for the Washington State Ferries Division), harassed, retaliated, and discriminated against her owing to her disability, and that Kerry Woehler, Mr. Smith’s replacement (who is currently the WSDOT planning manager), also engaged in harassment, retaliation, and discrimination, which included cutting off Ms. Trussler’s telecommuting rights after Ms. Trussler reported discrimination against her and another employee, both of whom were disabled and telecommuting as accommodations long before Ms. Scarton was hired. The jury found for Ms. Trussler on her retaliation claim. 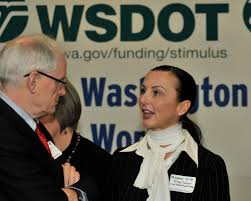 Mr. Sheridan said, Ms. Trussler testified that by October 2014, she was so upset with the conduct of Ms. Scarton, Ms. Woehler, and Human Resources, that she called the WSDOT Assistant Secretary of Strategic, Enterprise Services, Katy Taylor, and reported what she believed to be misconduct amounting to discrimination and fraud. At trial, Ms. Taylor could not recall most of the facts, so most of her written statement was read to the jury (see below). She admitted that she did not follow up on Ms. Trussler’s report, and that she told the substance of the report to the persons identified by Ms. Trussler as having engaged in misconduct.